Native American identity is about belonging to a community. It is a specific political, legal and social formation akin to a form of citizenship that is particular to each tribe, nation, confederacy or otherwise sovereign and self-determining Indigenous government-numbering 567 federally recognized tribes and hundreds of Alaska Native, Hawaiian and state-recognized entities across the country. It is also racial. Not in the biological sense, but in a more ephemeral cultural and social understanding of that word-an identity lived by Native Americans across tribal affiliations and policed by the shifting structures of discrimination, opportunity and the many mundane and extraordinary life experiences in between. Ancestry only means that a long time ago (in Warren's case, six to 10 generations, or likely well over 100 years) an ancestor in the nether reaches of the Warren family tree was Indigenous to North or South America. This is complicated. It's the kind of thing that changes over time. It's the subject of debate and entire fields of scholarly and artistic production, but it's an important distinction. Self-identifying, being born into, or being racialized as Native American can carry immense consequences for Native American individuals and the communities they come from; communities that are still struggling to protect and regain rights and dignity in a political, legal and cultural landscape growing more hostile by the day. The results, delivered by Stanford professor Carlos Bustamante, an adviser to Ancestry.com and 23andMe, in an Oct. 10 memo showed the vast majority of Warren's genes were of European origin, but that a tiny fraction ― somewhere between 1/64th and 1/1,024th ― likely came from an ancestor Indigenous to North or South America. The cheek-y fanfare corroborated an old Warren-family story that the senator's great-great-great-grandmother, O.C. Sarah Smith, was potentially part Cherokee or Delaware. Though it also said that "it is not possible to reliably associate smaller segments having Native American ancestry with any specific tribe or group." The opportunistic Warren rollout of the results-the most buzzworthy DNA test since Drake became a baby daddy-complete with an above-the-foldBoston Globe story, five-minute campaign video and viral Twitter thread, created an opening for an important conversation about who is and who is not Native American in a land taken from its First Peoples. But many publications missed the boat. "Elizabeth Warren Releases DNA Results," wrote theDaily Beast. "She's Native American." A complicated sociological question 500-plus years of colonization in the making, with immense political, legal and real-life consequences ― the kinds of consequences that historically defined who lived and who died and can, even today, prompt dire questions about who votes, who gets to see a doctor, who has a say in the permitting of an oil pipeline and who lives with the ever-present danger of inhabiting a Native body on a continent premised on the annihilation of those bodies ― were brushed aside. Never mind that questions linger about whether Warren may have benefited, even in a small way, by self-identifying as Native American during her tenure at Harvard. None of this came into frame. As is too often the case in the United States, the results of a lab test stood in for hundreds of years of history, law and lived experience and entire libraries and museums' worth of writing, scholarship and artistic production. The Cherokee Nation, from whom Warren claims descent, is quite clear: "A DNA test is useless to determine tribal citizenship," Cherokee Nation Secretary of State Chuck Hoskins Jr. said in a statement about Warren's DNA test. "Sovereign tribal nations set their own legal requirements for citizenship." The leaders in the field of Indigenous studies speak with similar conviction on this subject ― remarkable for any area of scholarly inquiry but especially in the hazier realms of humanities, social sciences and post-colonial studies. Consider the statement from University of Alberta professor Kim Tallbear, who is a member of the Sisseton Wahpeton Oyate, "For Elizabeth Warren to center a Native American ancestry test as the next move in her fight with Republicans is to make yet another strike-even if unintended against tribal sovereignty." This is not to say that this issue is resolved now and forever. Specific tribes-and particularly the Cherokee-face important questions about the place and identity of the descendants of Black slaves owned by wealthy Native Americans. There are also complicated issues that I and many other Native people navigate as part of families who come from multiple cultures and racial identities. It would be misleading to suggest that questions about something as complicated as who we are could ever be permanently resolved. The senator's response to President Donald Trump's racist attacks and the legitimate criticisms of Native leaders, activists and scholars has shown that we need space to engage and learn from this conversation-now more than ever. The rub? Learning is often uncomfortable, especially in a diverse nation built on interlocking histories of colonization, slavery and racism that's under siege by forces who call for a return to darker days. Warren's political buccal swab was cringeworthy. 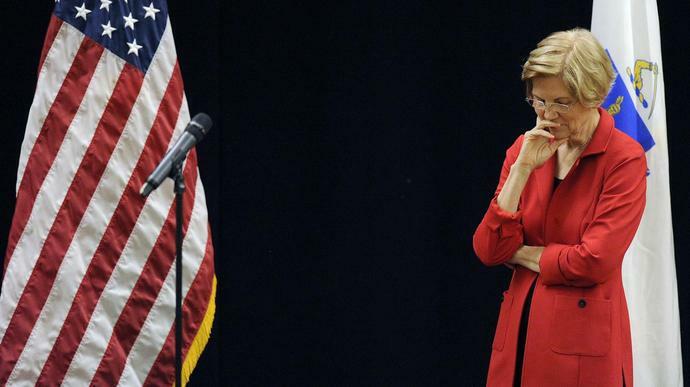 But her likely impending presidential run presents a prolonged opportunity to learn more about Native Americans and our complicated lives and identities. Julian Brave NoiseCat (Secwepemc/St'at'imc) is a freelance writer and policy analyst at 350.org based in Washington, D.C. He was the first-ever Native Issues Fellow at HuffPost and his work has appeared in The Guardian, The Nation, The Paris Review and other publications.